You must gather the souls of fallen warriors and train them to fight at Odin's side. 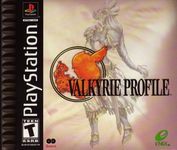 From the crators of "STAR OCEAN: The second Story", Valkyrie Profile sets new standards for roleplaying games on the Playstation game console. Stunning hand painted backdrops and animated visuals.